People believe that protein shakes make ideal low-calorie substitutes for meals and snacks. Protein shakes can make you feel full quickly so that you can eat less and lose weight. However, not all protein shakes are really suitable for weight loss. 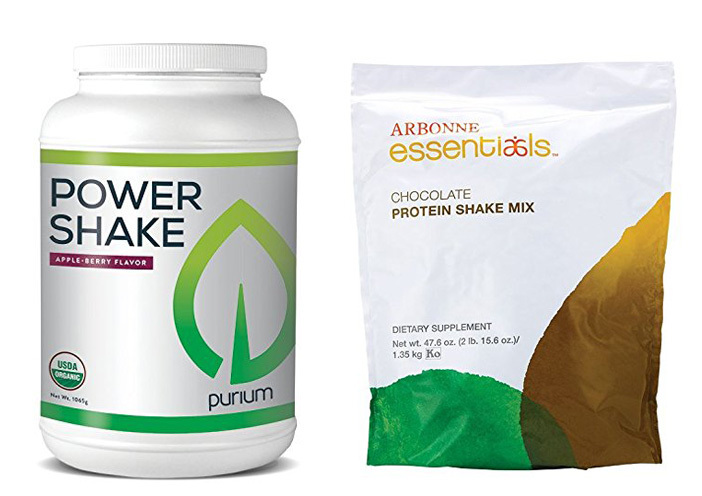 In this article, we will see the comparisons between two popular protein shakes from Purium vs Arbonne. The Purium company is one that promotes a holistic health approach by offering various products that are based on natural ingredients and relevant to all life stages. Their products are designed to fulfill the basic bodily needs, which many modern people unable to fulfill. We can’t pretend as if the modern lifestyle hasn’t affected the life of many people. With all the busy activities, people find it more and more difficult to fulfill their nutritional requirements. Eating junk foods can satisfy the hunger and cravings temporarily, but this leads to weight gain, obesity, and various other health problems. Purium tries to solve the problem by coming up with quality products that bring balanced nutrients, vitamins, and minerals to meet your nutritional requirements. Purium Power Shake is described as a dietary supplement for premium organic workout super-foods. It has been used by many people to aid in weight loss. One of the most popular products from the company is Purium Power Shake. It is described as a dietary supplement for premium organic workout super-foods. It contains various vegetables that are known to be rich of nutrition and health benefits. Because of the low caloric count and good protein content, Purium Power Shake has been used by many people to aid in weight loss. The Arbonne company, on the other hand, is known for producing various health products. It is known to produce hair treatment products, moisturizers, beauty products, makeups and cosmetics, and dietary supplements. Arbonne aims to improve its customers’s health and appearance so that they function properly through their daily activities. With that in mind, the Arbonne company was founded by Petter Morck in 1975. The founder had a dream of building beauty products that could compete favorably against the existing companies in the field. So, he gathered various herbalists and chemists in order to produce the best quality products which use safe and natural ingredients. The company has been quite successful in producing various products for health, beauty, and the detox niche with the help of their consultants. Arbonne Essentials is a protein shake mix which contains protein, vitamins, and minerals to help people achieve the ideal body weight and optimal health. 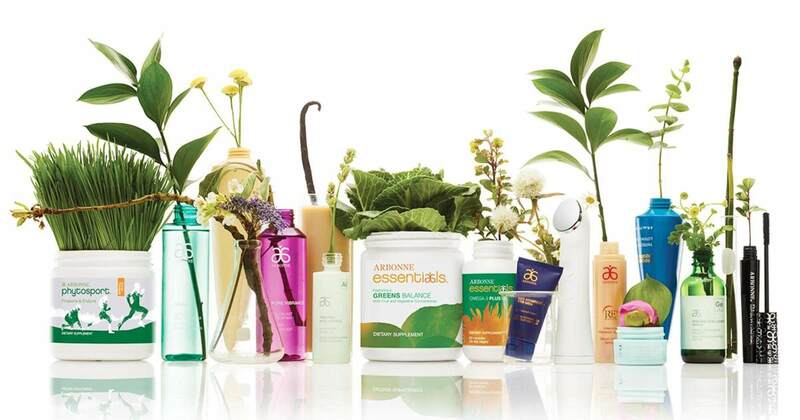 One of the most popular products from the company is Arbonne Essentials. It is a protein shake mix which contains not only protein but also rich vitamins and minerals to help people achieve the ideal body weight and optimal health. Besides containing the essential nutrients, it also comes with the Inner G Plex proprietary blend to enhance your stamina and mental focus. One of the most important, yet often overlooked things to consider when choosing your weight loss drink is the available flavor choices. Why is this important? Well, the answer is simple. It is a human nature to get bored with something that is repetitive. You don’t want to get bored due to drinking the same flavor over and over again. Some varieties will be great. Also, some people may have their own favorite flavors. Unfortunately, both Purium vs Arbonne do not have many flavor varieties here. Each of them only has 2 flavor choices. This is not good, unless the flavor choices happen to be your favorite ones. Let’s take a look further below. Purium Power Shake only has two flavor choices, Original and Apple Berry. It is still manageable to drink, but you may notice the slight texture of the fiber. 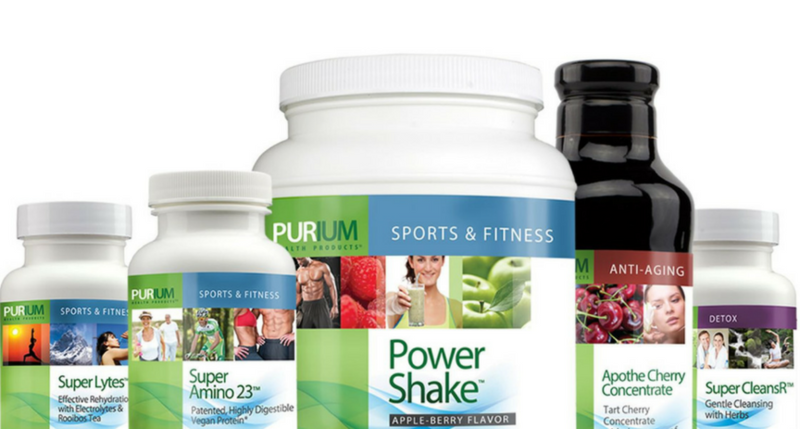 Purium Power Shake only has two flavor choices, which are Original and Apple Berry. It is interesting that the drink does not have the ‘common’ flavors, chocolate and vanilla. However, this drink is not meant to be all sweet and tasty; Purium Power Shake is about healthy vegetables, so the available flavor choices actually go in the same tune as the purpose. Does Purium Power Shake taste good? The answer can be quite subjective. However, the drink does have a somewhat thick texture. Purium Power Shake is still manageable to drink, but you may notice the slight texture of the fiber content in the drink. The Original flavor is not recommended unless you like the taste of fresh greens and vegetables. The Apple Berry flavor is quite nice; it uses organic raspberry flavor, organic lo han berry extract, and organic apple flavor. It is sour and somewhat sweet. The combination is good. Arbonne Essentials comes with two generic flavor choices: vanilla and chocolate. It is sweet and tasty. The texture is not really thick and is quite easy to drink. Arbonne Essentials comes with two flavor choices that are quite generic: vanilla and chocolate. These are the most common flavor choices for milks, shakes, and many other drinks. As the effect, people may get bored quickly with this protein shake. However, if you are fine with these flavors (or even better, if they are your favorite flavors), Arbonne Essentials is worth the consideration. Arbonne Essentials generally tastes good. It is sweet and tasty. It somehow tastes like a real milkshake, although there are still some hints in the flavor and texture to remind you that this is something that you drink for weight loss. The texture is not really thick and is quite easy to drink. In order to determine the quality and effectiveness of a protein shake for weight loss, it is important to check the ingredient list. So, we are now going to compare the ingredients of Purium vs Arbonne. We will also compare their nutritional values to see if they are truly beneficial for our health. Checking the ingredients is also very important if you are allergic or intolerant to certain substances. As mentioned above, Purium Power Shake is described by the company as a blend of premium organic workout super-foods. What does that actually mean? If we take a look at the ingredient list, we indeed can find several ingredients that are popularly known as ‘super-foods’ due to their rich nutrition and potential health benefits. However, note that ‘super-foods’ is more of a marketing term instead of a scientific one. In other words, these ingredients aren’t always superior to the other foods. This is because different foods come with different nutrients, and different people have different nutritional requirements. Arbonne Essentials, on the other hand, is very confident with its quality. It is able to provide various essential nutrients to your body, including some types of vitamins and minerals. Although vitamins and minerals are only needed in relatively small amounts, they are still very much needed by the body for various functions. Arbonne Essentials can help you fulfill these nutritional requirements. This protein shake comes with some proprietary blends. The precise amounts of the ingredients in the proprietary blends are unknown, but the company has listed all of the ingredients. Most of the ingredients are natural. There are some chemicals, but they are safe for consumption. Each serving of Purium Power Shake takes two scoops of the powder. It is available in 15-serving and 30-serving packages. If you just want to try the product first, taking the smaller 15-serving package is probably better. However, for a one-month supply, taking the larger 30-serving package is more efficient, cost-wise. Each serving of Purium Power Shake provides about 150 calories, which is quite low. This allows you to control your caloric intake more easily. Each serving provides about 150 calories, which is quite low. This allows you to control your caloric intake more easily and create some caloric deficit in order to cut down some pounds from your body. Each serving contains only about 19 grams of carbohydrate (including 3 grams of sugar and 3 grams dietary fiber), 8 grams of protein, and 4.5 grams of fat. The nutritionally rich ingredients bring various vitamins and minerals into the drink. Purium Power Shake can help to supply your needs of vitamin A, vitamin C, vitamin E, vitamin K, niacin, thiamin, riboflavin, folate, pantothenic acid, vitamin B6, and vitamin B12. In addition, the mineral content includes calcium, iron, phosphorus, sodium, and potassium. Although Purium Power Shake already has good varieties of vitamins, it still doesn’t provide some important minerals. To make a serving of Arbonne Essentials, you need about two scoops of the powder. However, the scoop size is a little bit bigger here than the one of Purium Power Shake, so you need slightly more powder for each serving. This isn’t a disadvantage because each pack has been sized to contain enough powder for 30 servings. You still get enough for a month. Each serving of Arbonne Essentials contains about 160 calories. The difference is quite marginal. Besides, the extra calories may actually be beneficial. Each serving of Arbonne Essentials contains about 160 calories. Compared to Purium Power Shake, the caloric count is slightly higher. However, it does not necessarily mean that Arbonne Essentials is worse for weight loss. The difference is quite marginal. Besides, the extra calories may actually be beneficial when you are busy with lots of things to do; they may give a slight boost to your energy. This is especially true because Arbonne Essentials is also enhanced with the Inner G Plex proprietary blend. This blend comes with ingredients that can enhance your metabolism. They help to improve your stamina and mental focus, without adding dramatic calories to your diet. So, Arbonne Essentials is great for workout sessions and tight activity schedules. Each serving of Arbonne Essentials comes with about 15 grams of carbohydrate (including 9 grams of sugar and 2 grams of dietary fiber), 20 grams of protein, and 3.5 grams of fat. Compared to Purium Power Shake, Arbonne Essentials has much higher protein. Protein is important for muscle and tissue growth as well as recovery. Arbonne Essentials also come with many kinds of vitamins and minerals. It has vitamin A, vitamin C, vitamin D, vitamin E, niacin, thiamin, riboflavin, biotin, folate, pantothenic acid, vitamin B6, and vitamin B12. There are calcium, iodine, magnesium, zinc, copper, chromium, selenium, manganese, molybdenum, sodium, and potassium. Is Purium Power Shake effective for weight loss? Unfortunately, this is more of a health drink rather than a weight loss drink. It does provide beneficial ingredients that can make you feel fresh and energized, but they don’t provide direct weight loss benefits. The levels of protein and fiber are relatively low. It doesn’t really enhance your fat-burning or reduce your appetite. So, outside becoming a healthy daily supplement, it isn’t really effective for weight loss. Is Arbonne Essentials effective for weight loss? Well, this drink will not do much to suppress your appetite. It can make you feel somewhat less hungry, thanks to the good amounts of carbohydrate and protein, but not for long. However, it is able to boost your energy quite well. It can help you exercise more effectively. By doing regular exercise, you can burn more fats and calories. So, Arbonne Essentials can be a good choice for workouts and weight loss. Purium Power Shake is generally safe, without significant side effects. The sugar and sodium are fairly low, 3 grams and 110 mg respectively. It does not use milk, soy, eggs, or other common allergens. However, you still need to make sure that you are not allergic or intolerant to any of the ingredient. Oats and barley may have slight amounts of gluten, so this product may be unsuitable for people with celiac disease. Arbonne Essentials has a slightly higher amount of sugar, which is 9 grams. The diabetics should monitor their sugar intake carefully. It also has a high amount of sodium, which is 480 mg per serving. You should avoid consuming too much sodium because excessive sodium may cause increased water weight (hence hindering your weight loss goals) and high blood pressure. Arbonne Essentials is processed in a facility that also handles milk, soy, eggs, tree nuts, and wheat. As the effect, it is not certified to be free of these potentially allergenic ingredients. Purium vs Arbonne have different advantages and disadvantages. However, for weight loss, Arbonne Essentials is more recommended. This product is ideal for a pre-workout drink. It is also useful when you need some energy boost to navigate through a busy day while you are on a diet. It has a fairly low caloric count while providing good amounts of protein, fiber, vitamins, and minerals.